Gina Malek’s works are records of memories sought after. 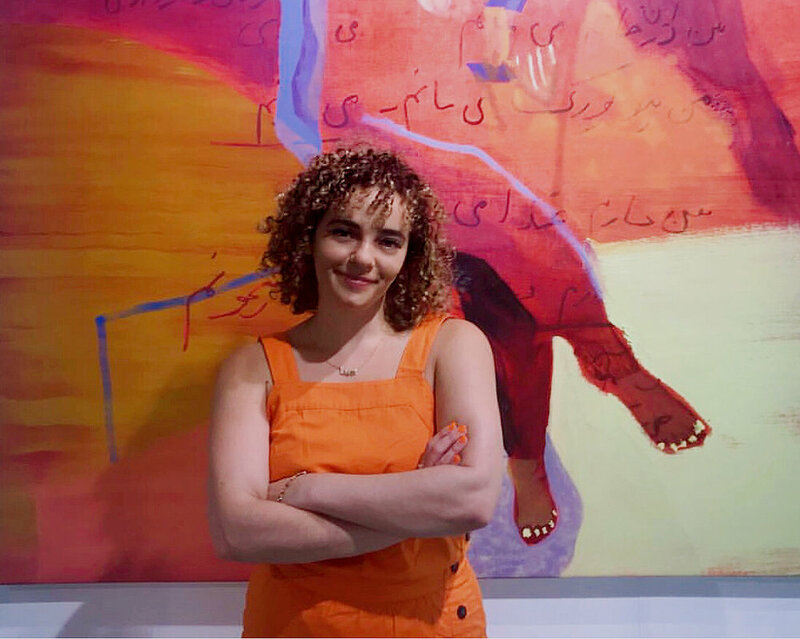 With her paintings, Malek creates portraits and scenes that are intimate while mostly avoiding direct figuration, preferring instead to outline its absence. Outlines of the human form are visible through a multitude of mark-making languages. She collects the marks by interacting with images in printmaking, drawing, and writing as well as video and audio recordings. In the studio, Malek attempts to extend encounters with her subjects - to chase down a moment, freeze it, and then set it on repeat. Using color and gesture, the artist underlines significant moments and then folds them back into the painting. At the same time as they suggest certain actions that are physical, the works also reflect the ways in which bodies are tangled in social and psychological spaces. Malek is interested in how people are represented, most notably women, the elderly, and those along the margins of society. The works converge upon ideas of identity and the impermanence of memory. The aim, in the end, is to smoke out remembered sensations through the act of painting.